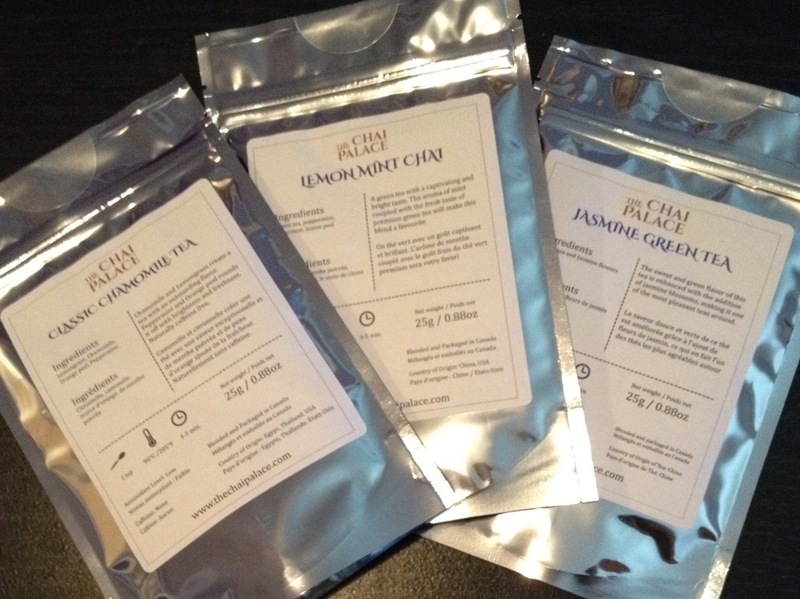 I was recently sent some teas from The Chai Palace, an online tea store, to sample and they were all fantastic! Blends are based on family recipes and are craft-blended in small batches. Currently, The Chai Palace is shipping across Canada with plans to start shipping in the United States. 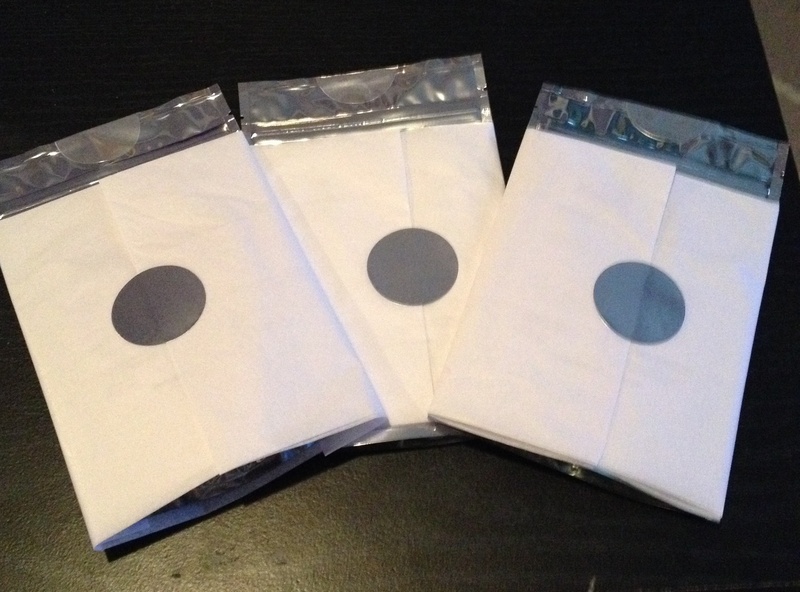 First, I have to mention how beautifully these teas came packaged to me. It’s all in the details, and I definitely love these ones. The Jasmine Green Tea was great. The recommended steeping time was 3 – 5 minutes, though I do recommend steeping around 3 to avoid it becoming too bitter. I love how the jasmine in this tea isn’t overpowering, and balances the green tea perfectly. The Classic Chamomile Tea was my favourite. The ingredients include lemongrass, chamomile, orange peel and peppermint. As someone who doesn’t normally drink chamomile, the flavour of this tea was a welcomed surprise. The first word I thought of after my sip was “buttery”. 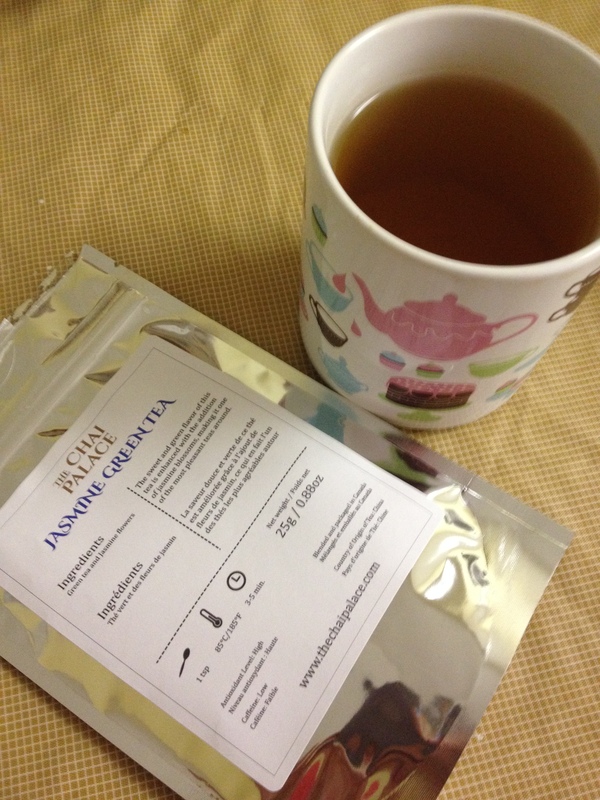 The smooth, deliciousness of this tea is great – and I highly recommend it. The flavours come together to create the perfect blend – with the chamomile making it a fantastic calming cup of tea. Don’t let the term “classic” fool you – this is definitely a unique chamomile blend that’s worthy to belong in all tea collections. The Lemon Mint Chai is also a great blend – how can you go wrong with two types of mint. 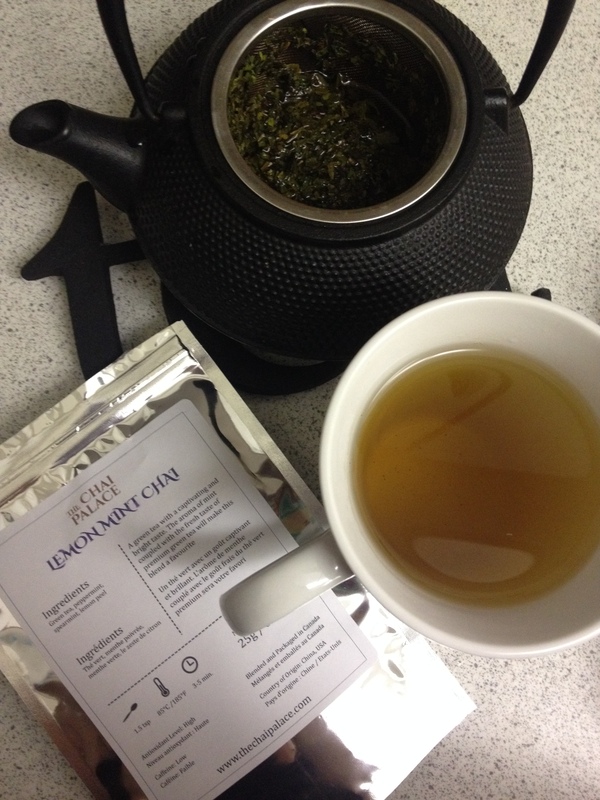 A mix of green tea, peppermint, spearmint and lemon peel, Lemon Mint Chai proves to be a delicious green tea. I’ve always loved minty teas, and the lemon peel in the blend is a great way to emphasize the flavour of the mint. This will for sure be one of my new go to minty flavoured blends. Overall, the three teas that I sampled were amazing. I highly recommend giving The Chai Palace a chance and sampling some of these teas for yourself. Definitely pick up some Classic Chamomile Tea!